To women who travel the world: How often do you check out a cute guy in a foreign city and instantly daydream about the dramatic love affair the two of you will embark on in your head? Don’t pretend you don’t know what we’re talking about. Unfortunately, we live in a day and age where chivalry is kind of, sort of dead and real romance is hard to come by. Now, your luck has changed! We’re here to spill the beans on the most romantic nationalities in the world and where you can find them, which is of course, in their home city. If you’re feeling frisky and need to feel like a lucky lady at the hands of a man who knows who to treat a woman, head to these international destinations and find yourself the sensitive, romantic man of your dreams. In Stockholm, Sweden, you’ll romance in the form of casual honesty, sweet gestures, and underwhelming charm. The Swedes are known to be sensitive and romantic by nature but it’s the modern approach to gender construct roles that make the men worth for falling for. If your idea of romance is uniting with your partner in every aspect your life, then go get yourself a Swedish sweetheart. Journey to Stockholm where you’ll take in the scenery and attract a mate with a golden man and the type of bright eyes that you can trust. With almost 1,000,000 people in the city, you’re likely to come across more than 1 person that will enjoy breaking gender stereotypes and going on nature hikes with you. Indian men are said to be the most romantic in the world. 90% of Indian men find that showing their partners physical attention is the right way to spoil them and on days such as Valentine’s Day, they’ll lay it on extra thick. In a culture where Bollywood sets the standard for the average relationship, you can expect to encounter a fairytale ending with an Indian man. The Taj Mahal, one of the world’s 7 Wonders, is a symbol for love and is often cited in their discussion involving human emotion. We suggest booking your next flight to Udaipur, India where the ambiance is alluring, the landscape is idyllic, and the men are just as deep as the surrounding lake, Pichola. In a city fit for royalty, you’ll feel like a Princess when you discover your Indian Prince. 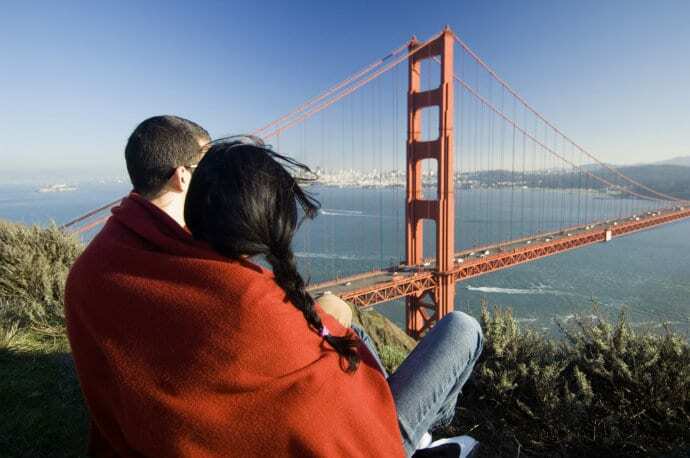 San Francisco men usually fall in line with the stereotypical aspects of true, American romance. They’ll wine and dine you, shower you with gifts, and court you slowly as they initially get to know you. The Cali boy inside of them won’t be the homebody type so you can expect a lot of nights out on the town or, you can be sure to sneak in some quality time taking in the scenery of all San Francisco has to offer with bike rides and waterfront views. The famous heart art installation in San Fran serve as the city’s (and the men’s) inspiration when they wine and dine their only loves. Romantic men are worth waiting for in this California metropolis and you’ll be pleasantly surprised by the American-style spell they’ll cast upon a lady they admire. You thought we would suggest the Roman men, didn’t you? On the contrary, Italian men in Venice are the cream of the romance crop. Italians, in general, are born with the aura of love swimming through their veins and with their melodic language, entrancing wine, and smooth moves, they’ll be able to convince you to stay in their country forever. Who would turn Venice down, though? Are we right? 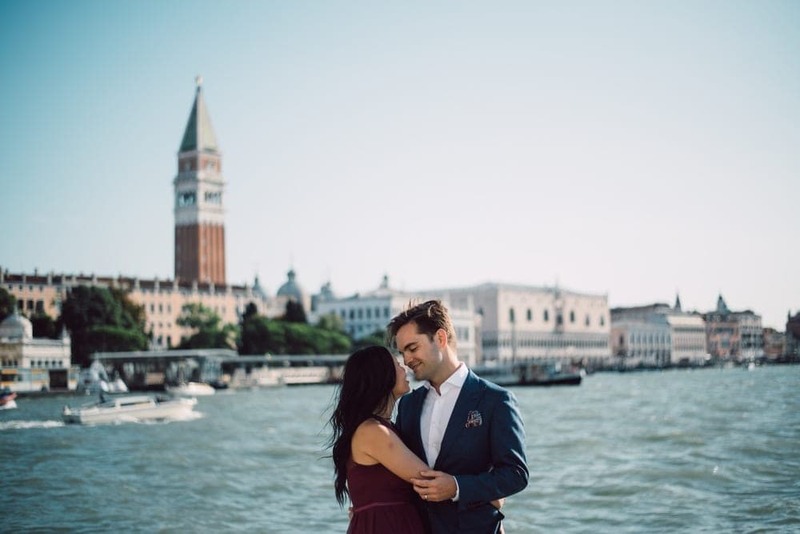 Regardless, the Venetian man is perfect, and undeniably bewitching, to any lady who falls head over heels with a cultured soul, bedside manners, and a mutual affection for delicious food.